Cet article a été initialement publié le 18 décembre 2017 sur le blog de l’Institut Montaigne. Before sketching out the second phase of negotiations, let’s review the three key points of the withdrawal agreement – one infringing on the next phase. Second, the UK pledged to meet its budget commitments as listed in the multiannual financial framework 2014-2020, until December 31st 2020 and beyond for ongoing programs – the well-known RAL (“reste à liquider”). The UK thus conformed to the Commission’s proposals and both parties decided that details of monetary transfers as well as their schedule would be addressed in future negotiations. Various estimates, realized in London and Brussels, are pointing to a net cost of €50 billion for the UK. This amount would be spread over a period to be specified. That of 12 years chosen for repayment of the UK share of the European Investment Bank’s capital gives a clue as to the expected duration. Third, both parties agreed on a vague framework regarding the border between Northern Ireland and the Republic of Ireland. The basic principle is the respect of the Good Friday Agreement reached in 1998, which ended religious clashes in Ulster. The UK commits not to erect a « hard » border between the North and South of the island, not to introduce a regulatory barrier that would harm economic relations between the two parties, and to strictly respect the rules of the Single Market and of the Customs Union that underpin the Good Friday Agreement. This last point holds even in case future trade negotiations with the EU fail. At the same time, however, the UK reiterates its commitment to preserve the integrity of its own internal market, which by definition includes Northern Ireland. This is all therefore contradictory, but since a border between the Union and the United Kingdom has to be established, the December 8th agreement is merely asserting principles, leaving it up to the subsequent negotiations to untie this Gordian knot (1). Negotiations on the relationship between the EU and the UK after the latter’s departure will include several dimensions, economic relations being the largest and most complex. Two of them that are not directly economic but whose strategic importance is obvious, deserve to be cited: security and defense on the one hand, and scientific cooperation on the other. As the military and scientific weight of the United Kingdom largely exceeds its strict economic weight, it should be in everyone’s interest to preserve and even deepen relations in these two areas. These are not necessarily part of the EU-UK multilateral framework, but can also be bilateral – Franco-British for instance in terms of defense – or be part of a broader framework than the EU. This is notably the case of the European Research Council, which does not limit the allocation of its grants to European researchers alone. Back to economic relations. The harsh reality of negotiations is that any hindrance to trade will result in a loss of wealth for both parties, but that it will be three to ten times larger for the UK than for the EU, according to various available estimates. In these circumstances, incentives to seek the best possible compromise, which would limit both parties’ joint losses, will be weak for the EU, while the UK’s bargaining power will be very limited. The underlying reason has long been known: exports of goods and services from the UK to the EU generate about seven times more income per unit of GDP for the UK than they do the other way around. The UK’s official goal is to leave the Single Market and even the Customs Union, in order to recover its freedom of trade, standards and regulations, and then negotiate a beneficial free trade agreement with the EU. According to the December 8th joint document, the exit would only be effective after 2020, in order to give negotiators time. The whole problem will be to agree on what « beneficial » means. The EU asserts that full access to the Single Market for goods and services is dependent on whether the two other freedoms of movement – capital and people – are respected. This option is thus ruled out, since control of immigration was critical to the referendum. It will therefore be necessary to negotiate one good, service or regulation at a time, while respecting the World Trade Organization’s constraints … Recent experiences, such as that of the Free Trade Agreement with Canada (CETA) which took 8 years, while the stakes were much lower, demonstrate the unlikeliness of an agreement before the end of 2020. The risk of a « hard Brexit », though damaging to both parties, but infinitely more for the UK, will be a trump card in EU’s hand once again, and should push the United Kingdom to negotiate an extension of the transition agreement as a first step. 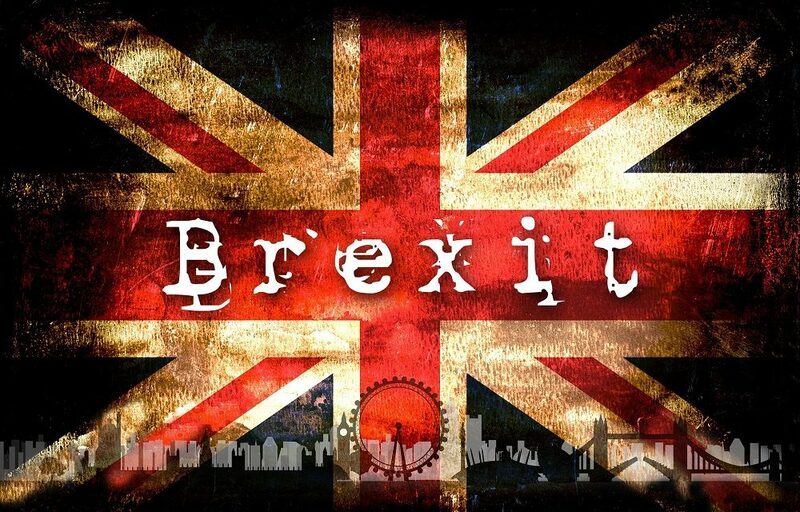 December 8th is insightful in this regard: formally, post exit and during the transition period, the UK is no longer a member of the Union but, in practice, even after 2020, it would continue to accept its main rules, except probably regarding the free movement of people. Negotiations on the exchange of goods should not raise major difficulties, especially with regard to manufactured goods. Some areas of friction have already emerged, such as fishing rights, and experience has shown that agriculture remains a highly sensitive issue in international negotiations. Yet, as farmers and breeders on both sides of the Channel have learned to coexist without being protected from each other, an agreement should be reached. In fact, the main difficulty will be internal to the UK: how will it be able to compensate for EU’s generous subsidies to its own farmers, which, as an aside, the royal family largely benefits from? On the other hand, negotiations on services will be tough. Services should be understood as financial services, which include financial intermediation, access to capital and derivatives markets, making and distributing savings products, or insurance. As the dominant economic power in continental Europe specializing in the exports of goods, Germany will lobby to preserve the principles of free trade, as far as manufacrtured products are concerned. When it comes to financial services, negotiations will be trickier as every country, France included, but also Germany, the Netherlands and Ireland intend to carve up the City of London and share the spoils. In my opinion, following such a non-cooperative logic would be detrimental to all the parties involved. The most sophisticated and diverse financial industry in Europe, the British financial industry enjoys today a free access to the whole continent via the ‘financial passport’. This advantage will however not resist the split, although it might be preserved throughout the long transition period. A cooperative solution would be for both parties to accept the reciprocity rule for financial services; under the supervision of the European Central Bank (ECB) in the Union (and not just in the Eurozone) and the Bank of England across the Channel. With respect to euro trading and hedging, the Bank of England should accept the ECB’s supervisory right in exchange for a secured integrity of the London managed markets. The ECB seems open to such a solution, since its representatives have explained that the issue was not geographical, but relates to supervisory responsibility. (1) In this respect, Alan Beattie of the Financial Times rightly points out that once the UK is out of the EU, allowing goods and services to flow freely across the intra-Irish border would break a golden rule of the WTO – the most-favored-nation clause – while the UK will have to rebuild its position in the WTO, since it will no longer be represented by the EU. For instance, for Irish lamb to continue to enter Ulster and thus the UK freely, this would have to apply to their counterparts in New Zealand as well, which would ruin British breeders. To circumvent the rule, a free exchange zone would have to be established between London and Brussels … It is endless!